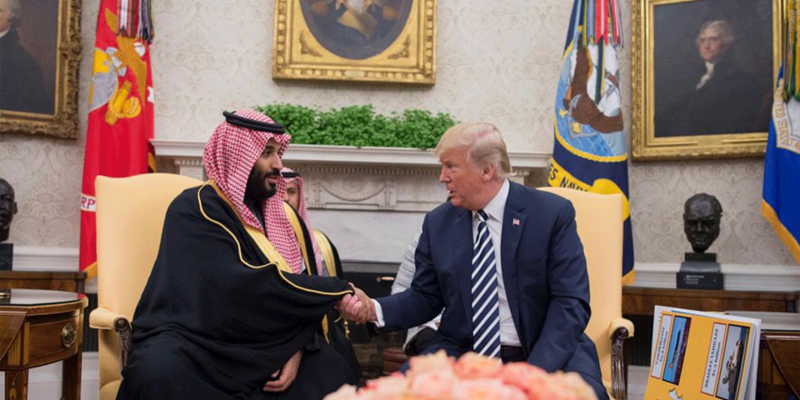 Americans are rightly horrified at Jamal Khashoggi’s brutal murder, yet most fail to recognize that their own leaders’ murderous ways may be little different than those who ordered Khashoggi’s death. The pervasiveness of state-sponsored killings is no excuse for treating murder as acceptable, ever. “Will no one rid me of this meddlesome priest?” asked Henry II as he instigated the murder of the Archbishop of Canterbury, Thomas Becket, in 1170. Down through the ages, presidents and princes around the world have been murderers and accessories to murder, as the great Harvard sociologist Pitirim Sorokin and Walter Lunden documented in statistical detail in their masterwork Power and Morality. One of their main findings was that the behavior of ruling groups tends to be more criminal and amoral than that of the people over whom they rule. But no one should feel self-righteous here. American presidents have a long history of murder, something unlikely to trouble the current incumbent, Donald Trump, whose favorite predecessor, Andrew Jackson, was a cold-blooded murderer, slaveowner, and ethnic cleanser of native Americans. For Harry Truman, the atomic bombing of Hiroshima spared him the likely high cost of invading Japan. But the second atomic bombing, of Nagasaki, was utterly indefensible and took place through sheer bureaucratic momentum: the bombing apparently occurred without Truman’s explicit order. Since 1947, the deniability of presidential murder has been facilitated by the CIA, which has served as a secret army (and sometime death squad) for American presidents. The CIA has been a party to murders and mayhem in all parts of the world, with almost no oversight or accountability for its countless assassinations. It is possible, though not definitively proved, that the CIA even assassinated UN Secretary-General Dag Hammarskjöld. The CIA has only been held to public account on one occasion: the 1975 US Senate hearings led by Frank Church. Since then, the CIA has continued its violent and, yes, murderous ways, without any accountability for it or for the presidents who authorized its actions. Many mass killings by presidents have involved the conventional military. Lyndon Johnson escalated US military intervention in Vietnam on the pretext of a North Vietnamese attack in the Gulf of Tonkin that never happened. Richard Nixon went further: by carpet-bombing Vietnam, Cambodia, and Laos, he sought to instill in the Soviet Union the fear that he was an irrational leader capable of anything. (Nixon’s willingness to implement his “madman theory” is perhaps the self-fulfilling proof of his madness.) In the end, the Johnson-Nixon American war in Indochina cost millions of innocent lives. There was never a true accounting, and perhaps the opposite: plenty of precedents for later mass killings by US forces. This entry was posted on Monday, November 19th, 2018 at 00:03	and is filed under Uncategorized. You can follow any responses to this entry through the RSS 2.0 feed. Both comments and pings are currently closed.